According to the Cbets 2053 & 2055 the transient in Eridanus has been spectroscopically confirmed as a nova. Spectra obtained on Nov. 26 by H. Maehara (Kyoto University) and by M. Fujii (Okayama) shows that the object seems likely to be an He/N-class nova. 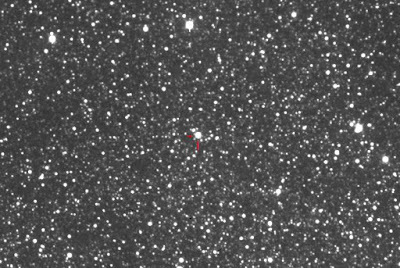 This nova has been designated NOVA ERIDANI 2009. Moreover another spectrum obtained by NASA researchers using the Aerospace Near-Infrared Imaging Spectrograph on the 3-m Shane reflector of Lick Observatory shows very strong, broad emission lines and confirm this object as a nova. In the meantime prediscovery measurements of Nova Eridani 2009 have been reported on VSNET mailing list by "Pi of the Sky” team. 20091113.301 7.10 R "Pi of the Sky"
20091114.304 5.71 R "Pi of the Sky"
20091115.308 5.60 R "Pi of the Sky"
20091116.302 5.92 R "Pi of the Sky"
20091117.297 6.09 R "Pi of the Sky"
Following the posting on the Central Bureau's unconfirmed-objects webpage & Cbet No. 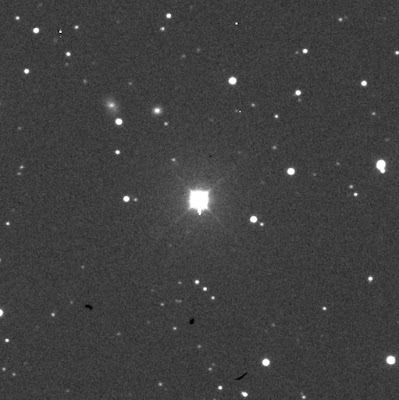 2050 about the discovery by K. Itagaki (Yamagata, Japan) of a possible Nova in Eri we performed some follow-up of this object remotely through a 0.25-m, f/3,4 reflector +CCD, from GRAS Observatory (near Mayhill, NM). On the Cbet Yamaoka (Kyushu University) suggests that it might be the brightening of the 15th-mag blue star noting "that the amplitude of seven magnitudes is rather large for a dwarf nova, but somewhat small for a rapid classical nova". Spectroscopic and time-resolved photometric observations are required to understand the real nature of this transient. 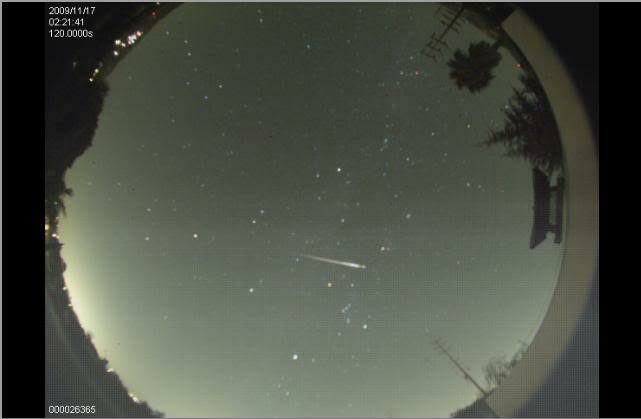 On Nov. 18, just after midnight local time (MST) a great fireball was seen over parts of the western United States. According to Spaceweather website witness in Utah, Wyoming and Idaho saw "remarkable midnight fireball that turned night into day. It was not a Leonid. Infrasound measurements suggest a sporadic asteroid not associated with the Leonid debris stream. The space rock exploded in the atmosphere with an energy equivalent to 0.5 - 1 kilotons of TNT"
Here you can find other videos of the fireball uploaded on Youtube. 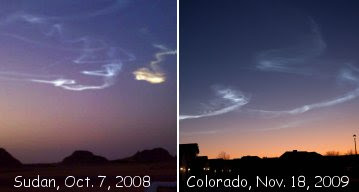 Few hours after the fireball, strange clouds appeared in the dawn sky. These clouds are strikingly similar to the debris left in the sky after the 2008 TC3 event in Sudan on Oct. 7, 2008. 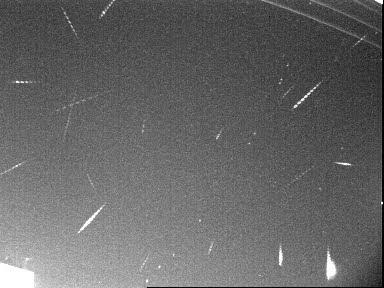 According to preliminary counts from the International Meteor Organization (IMO) the Leonids meteors reached a ZHR(max) ~ 120/130 around 22UT of Nov. 17, as predicted by forecasters. The ZHR surge, witnessed by observers in Asia, occurred when Earth passed through the debris left from Comet 55P/Tempel-Tuttle in 1466 AD and 1533 AD. When Earth exit these streams, the ZHR count fall to the value ~30/40. 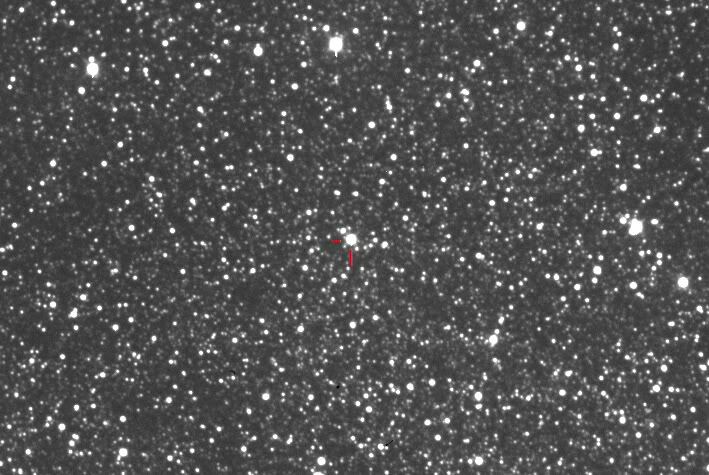 Following the posting on the Central Bureau's unconfirmed-objects webpage about a possible nova in Scuti, on 2009 November 09.08 we performed some follow-up of this object through a 0.25-m, f/3,4 reflector + CCD, from GRAS Observatory (near Mayhill, NM). (equinox 2000.0; UCAC-2 catalogue reference stars). The extreme stellar crowding due to nearby field stars makes this measurement rather difficult. A comparison with a DSS red plate(limiting magnitude about 20), obtained on 1996, Aug. 13, fail to show a clear unambiguous pre-outburst precursor. More details about the discoverer have been provided on the CBET circular No. 2008, issued of 2009 November 09. This CBET announces the discovery of Hideo Nishimura (Japan) of a possible nova (mag 8) on two 10-s CCD frames (limiting magnitude 11.5) taken on Nov. 8.3699 and 8.3700 UT using a Canon EOS 5D camera (+ Minolta 120-mm f/3.5 lens).